We're still collecting feedback on the recently released Tanks DLC and update 1.82. As part of that process, we're also planning to release a small hotfix later this week, which should address some issues that were already reported to our Feedback Tracker. We're currently also making our plans for Arma 3's development from here on out, which we hope to present to you somewhere in the next month or so. Tanks DLC has been out for almost two weeks now, and that means we also get to enjoy plenty of cool player-made trailers, screenshots, and artwork. 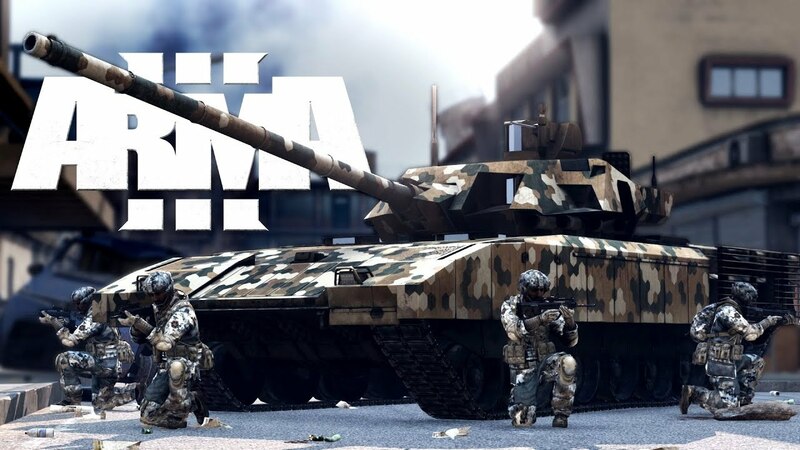 Among those, our scanners picked up ThatWasNinja's fan-made trailer for Tanks DLC. This video does a fantastic job of showcasing our new metal beasts, but we best let the trailer itself do the rest of the talking. It's probably among the most impressive community-made trailers we've seen, so enjoy - and be sure to drop a like on the video. Epic stuff, ThatWasNinja! One of the best ways to experience Arma 3 is in a community group. Black Screen Operation is one of those, being a fairly fresh mil-sim unit founded by a group of Arma veterans. In support of their recruitment efforts, they shared with us this great trailer. Its footage showcases the best parts of operating in a mil-sim unit, where working together leads to true synergy - and simply a lot of fun. You can visit BSO's web page to apply and become a member! It's not every day that we receive pictures of Arma 3 cosplay. So you can imagine our surprise when we saw this awesome CSAT cosplay by SniperLyotchik (later complemented by another bunch of photos). Not only did he manage to craft one of Arma 3's futuristic-looking uniforms, but he also went out of his way to re-create some of the more famous poses in the game, including the healing animation. The effort is very much appreciated. Thanks, SniperLyotchik! Community video artist CAllMehTOMMEH strikes again! In his latest Arma 3 review, he explains what makes game so unique in today's video game market. Using stunning in-game footage as the backdrop to his narration, he shares his perspectives on Arma 3 and how it's influenced his gaming experiences and gaming overall. He covers a lot of different topics, and we recommend everyone to add the video to their watchlist! With the release of Tanks DLC we've also concluded the 2017 roadmap. That also means it's time for us to look to the future. However, while our next (more modest) roadmap is being prepared, there are also some personnel changes within our team. Most notably, our Creative Director Jay Crowe has decided to part ways with Bohemia after many splendid years of service in order to pursue new challenges. In his Open Letter to the Community, he goes back and remembers those 8 years that he's been with us. There are many great memories, and saying that Arma 3 would not have been what it is today without Jay would be an understatement. His contribution to our project and communications has been integral to making sure that Arma 3 is now in its best shape ever. Jay's dedication, passion, professionalism, and distinct style of management will surely be missed by both our Bohemians and the community. We wish you the very best in your future endeavors, and remember to stay... splendid™! To tell a story is a difficult task, even more so in a complex and open military sandbox. Over the years, our designers have come up with multiple ways of telling authentic stories in Arma. To help tell these stories, we've often made use of the fictional AAN TV news station, which has become a staple of the Armaverse. In a detailed article on his personal blog, Senior Designer Karel Mořický explains the motivations of introducing this organization to our world. 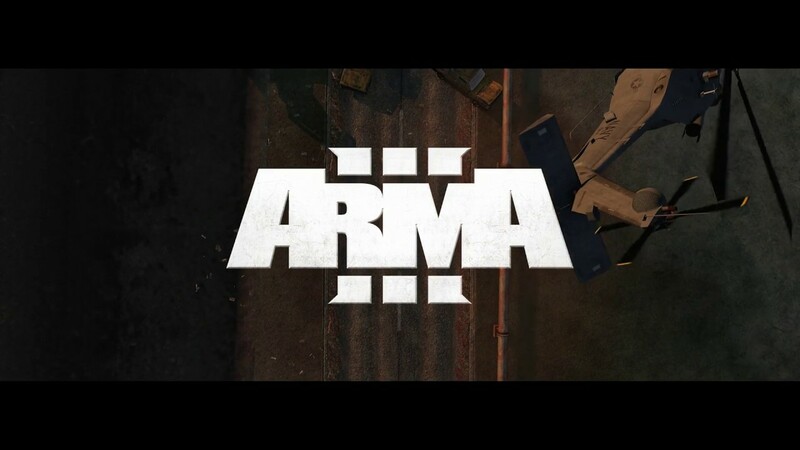 He also goes into some of the technical details for each of Arma's installments (side-note: you can inspect the complete Armaverse timeline on our Community Wiki), and talks about how all of it was achieved. It's an essential read for everyone with an interest in the Armaverse, but also for game design enthusiasts who are curious about learning more on how to better tell a story in games. Our most recent Arma 3 Free Weekend on Steam just ended last Monday. For a limited period of time, all Steam users could try the whole base game for free, and purchase it with a significant discount afterwards. In support of this special event, and in celebration of reaching more than 4 million Arma 3 players, we also shared an infographic with interesting info about how Arma 3 has been played so far. With the free weekend, we hope to have brought in some more people into the wonderful Arma 3 community. Thanks everyone for already making them feel welcome, and to all the fresh recruits: it's a pleasure to have you with us!